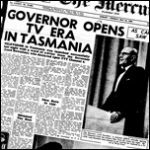 Last week Tasmania’s Southern Cross News received a much needed and long awaited refresh in shifting to a new, more modern studio. 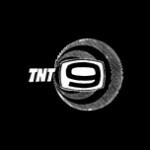 The news had been presented from a set that dates back to the Nineties and a studio that dates back to when the station debuted as TNT9 in 1962. 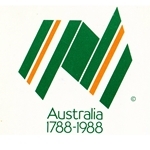 Although Southern Cross is aligned to the Nine Network on the mainland, it is an affiliate of the Seven Network in Tasmania. 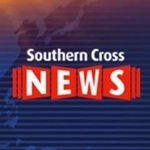 Southern Cross News is consistently among Tasmania’s most popular programs. lovely to re-live memories. 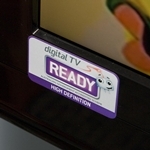 Always a very comprehensive news bulletin with overseas and local events and excellent presenters. In the clip I remembered names from the early years when I worked there – Ray James, sporting commentator and Max Lamb, behind the cameras.But not many women in technical area, – where I had hoped to work in the seventies. Congratulations Southern Cross on a splendid new studio. For many years all voice-over for documentaries on SBS Tv and some ABC too, was done by Alistair Duncan. He had such clear, precise diction and familiar to Australian screens. Now he has stopped this work, I guess to retire, but can someone tell me where he is now. He deserves recognition in the annual .Hall of Fame at the Logies as the ‘voice of SBS docos. Come on Seven and Nine executives, bring back some first class entertainment. Another fine performer. Jeannie Little is currently battling Alzheimiers – and deserves a Logie for her service to the Industry. Even if SHE was’t aware of the honour. her family would be so proud. Wondering if the Australian series from 70’s CERTAIN WOMAN was ever on DVD. Starred Queenie Ashton and other wellknown stars including June Meillon. Hope ABCTV may air it again late nights/early morning. It was a first class series and many would remember it – a bit in the line of BLUE HILLS from radio days. Maybe could be aired on GEM or 7-2 if copyright allows. GEM have many old British movies a lot older than CERTAIN WOMAN This drama was an Australian great for the ABC.